All piano works are published by Theodore Presser Company. Details and links are supplied below on your purchasing options. I began hiking in the Rocky Mountain National Park in northern Colorado when I was in my early twenties. RMNP is home to some of the most gorgeous mountains in North America, encompassing 265,000 acres of wilderness, flora, and fauna. Among the park’s numerous summits is Longs Peak, a mountain that is 14,259 feet high (the highest in the region). From my earliest days of hiking, I was drawn to Longs Peak, as well as to a jagged stretch of rock formations that link Longs Peak to Pagoda Mountain (which stands at 13,497 feet). These formations are called the Keyboard of the Winds, as their thin, spindly peaks loosely suggest the splintered keys of an old, broken piano. One summer, I made the ascent to Pagoda Mountain using a route that took me along the right side of the Keyboard of the Winds. My hiking partner and I started up the trail in the pre-dawn hours, and the weather was stormy. Dawn had broken by the time we reached the base of the Keyboard, but its peaks were still surrounded by clouds. As we climbed higher and higher, the Keyboard’s thin spires became visible, along with the top of Pagoda Mountain. We reached the summit of Pagoda, admired the view (what we could see through the clouds), and made our descent. My piece is a tribute to the Keyboard of the Winds. The fast, whirling gestures depict swirling clouds, and the musical high points represent a hiker reaching the peaks of the Keyboard. I have contrasted these sections with quiet, introspective material; these embody the hiker quietly surveying the grandeur and beauty of the valley below (on a cloudless day), as well as the soaring pinnacles of Longs Peak and Pagoda Mountain overhead. Carlos Gardél (1890-1935) was the most famous Argentine tango singer of his time. He had already an established performing career when in 1917 he began experimenting with the tango, which was at that time simply an instrumental form. He created the “tango-canciones.” or tango songs, in which he fashioned text to music. Audiences went wild over this new development of the tango, and Gardél spent much of the rest of his career composing and performing tango-canciones. Typically, subject matter of these songs consisted of mournful, longing ballads of love. Gardél’s life was tragically cut short in a plane crash when he was at the height of his career; his untimely death catapulted him to the status of legend in Buenos Aires and beyond. Tango Gardél is a tribute to Carlos. Amid dramatic flourishes, you hear Carlos’s voice, represented by a singing solo played mid-range on the piano as the music rapidly migrates through moments of rage, loneliness, and tenderness. I feel a great affinity for the music of Buenos Aires based on a trip that I took to Argentina in 1999. In Teeny Tango, I wanted to encapsulate the immense drama of the tango genre within a very compact (and short) form. 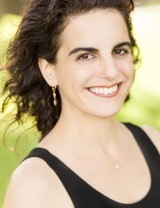 This piece was written for and premiered by Amy Briggs.